Originally posted at Pagan Families, 5/27/15. Has creating spells and making magic helped you hone your parenting skills? I haven’t seen any experts list spellcrafting or analogical thinking as an important parenting ability, but maybe they should. Let me tell you a story. One time this rainbow snake toy saved me from the minor embarrassment of being that parent, the one whose kid is screaming on your plane’s final descent, and it saved my then two year old from the full distress of being buckled down against her will. She’d been in loud and unfamiliar places all day, not getting to make many decisions for herself, and when I insisted on buckling her in, the whole flock of frustrations alighted on her seatbelt. But as my daughter started to scream, inspiration struck: I grabbed the rainbow snake and snapped it around my own neck, crying “Get it off me! Get it off me!” My daughter’s focus shifted from freeing herself to freeing me. Once I was de-snaked, the toy wound its way around my daughter’s leg, where she settled into snapping it off and on, and seemed to forget about the seatbelt. Friends who’ve seen similar situations have told me how easily redirected my child was, but that didn’t seem quite right. I was pretty sure that it wouldn’t have worked to redirect her toward any toy but Rainbow Snake. Why the snake, though? It wasn’t a new toy; it wasn’t a favorite toy… However, it was a facsimile of a seatbelt. My younger self, the part of me that sees the world in poetry and layers of images, had spoken to my daughter in her own language and empathized with her. My toddler could be in charge of the snake and help rescue me from it, even if she was powerless over the seatbelt. She could experiment with the feeling of wrapping the snake around herself, but still take it off. And in the process, she could feel and remove some of her frustrations with the day. I’m continually impressed by how conjuring up the right analogy can transform a situation for young children. 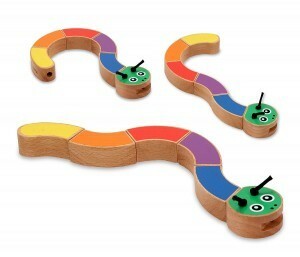 Toys like the snake make an image concrete and easier for children to work with, but many times just giving the child a new mental picture is enough to redescribe a situation. For example, earlier this year my older daughter was pretending to be the sun dancing in a field, so the younger one decided she would run after her and do the same thing. When the older sister started to complain, I told her about the moon, and how all the moon’s light is a reflection of the sun. It doesn’t create any new light on its own; it imitates the sun, and it needs the sun to shine. Now this image wasn’t completely fair to my toddler, who does plenty of shining on her own, but it let my five year old enjoy her sister’s imitation in a way she hadn’t before. As a big sister, hearing “your little sister wants to be just like you” can feel threatening; whereas describing her little sister as the moon gave the younger one a role without implying that she might squeeze out her sister. When an image doesn’t work, sometimes it helps to amplify the image by making it a recurring motif in stories. One of the best guides I’ve found on storytelling as a tool for inspiring change in kids is Susan Perrow’s Healing Stories for Challenging Behaviour. Perrow’s first step in crafting a story for challenging behavior is describing the behavior in its situational context and then clearly envisioning the situation you want instead. Next you choose a metaphor for the situation, and that metaphor becomes the core of a story–for example, a crab for a child who’s pinching friends. As the story proceeds, its protagonist journeys out of an uncomfortable situation and toward wholeness or a more balanced situation. This resolution is encapsulated in a healing image, a happy ending that shows the child a way to reimagine her own situation. As a child hears the story over repeated tellings, the experience in the story becomes her own, until she can bring that sense of balance into her own world. Giving the child a physical talisman (or toy) that represents the healing image can make it even more powerful. The process is remarkably similar to designing a spell, with narrative tension as a path to raising energy. The playful art of image making has proven indispensible to me as I try to minimize my parental usage of punishment, rewards, and other sorts of coercion. When I use images and stories, I can sidestep the rodeo of power-over and guide my children from a power-with perspective. Sometimes it bothers me, though, that so much of what makes my parenting style work is invisible. That’s not to say that there isn’t relevant reading in the parenting section; for example, Lawrence Cohen’s Playful Parenting is a fantastic resource on using play to relate to kids and help them work through problems. Nevertheless, this sort of imagining with kids doesn’t get the attention paid 1-2-3 magic and time outs, or even the attention put into to identifying needs and empathizing as discipline strategies. One reason for its low visibility may be that analogies and play scenarios aren’t formulaic and often aren’t directly transportable from one child and situation to another. Finding the right image depends on being in the situation, knowing what your child’s been talking about recently and what characters she’s likely to identify with, and sometimes knowing her relationship to different toys. I’m not so sure my rainbow snake trick would’ve worked if we’d labeled that toy a caterpillar, even though its antennae clearly indicate that it’s not really supposed to be a snake. I bet you have stories about times that play saved you from a sticky situation, too. Even if we don’t talk much about the silly things we make up with our kids, most families seem to have them. 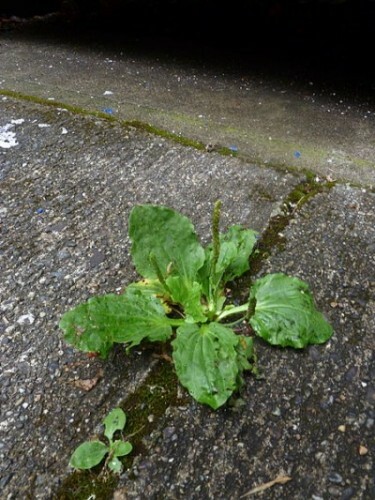 They grow like green through the cracks in concrete, in the spaces people don’t think much about. They grow in between all those consistent boundaries. They grow in the silly voices we use when only our own family is around. They grow in desperate moments on a plane and when you’re trying to get your toddler to sit on the potty. Other times they grow when we’re playing peacefully and intuitively, and we don’t even realize what happened unless we think about it later. You don’t need to know what you’re saying when you speak the language of dreams, but being aware can help you cultivate it. There’s an invisible art at work in parenting with images, and it’s close kin to magic–or depending on your definition, maybe it is magic.